A toothy beam that’s welcoming the trick-or-treaters is always fun but why don’t you mess it up a bit this Halloween? 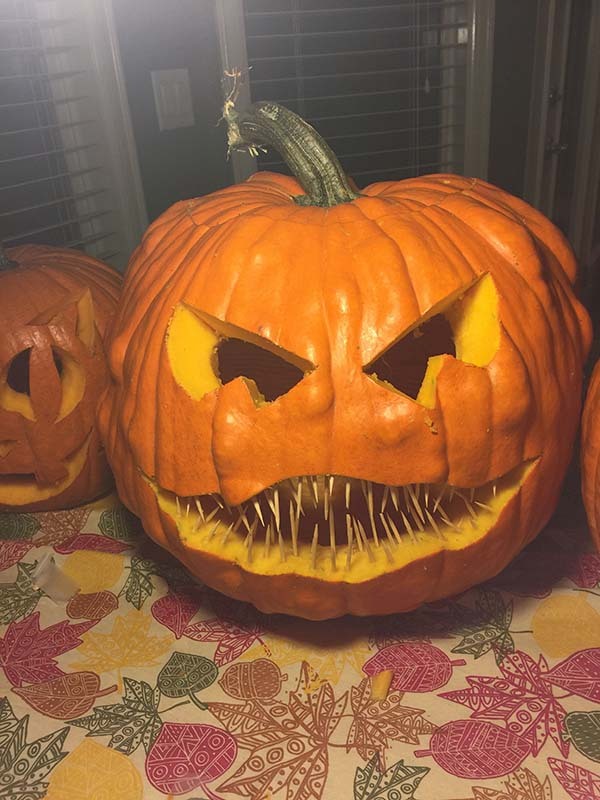 I will show you a bunch of creative pumpkin carving ideas that will give you the best jack-o’-lanterns in the entire town. Plus, you can use it as a base of your cheery autumnal decoration. Are you excited? Then let’s dig in! 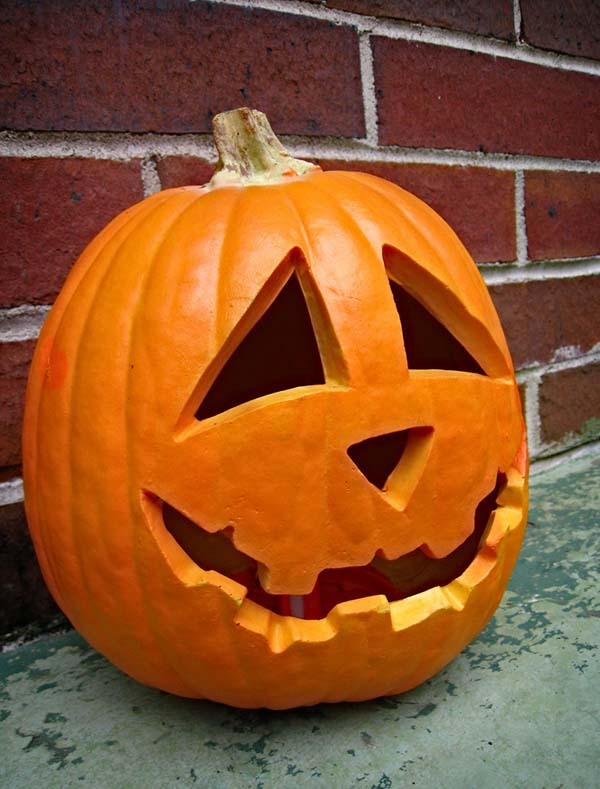 Carving with a hot kitchen knife is one of the easy pumpkin carving ideas you’ll find on the Internet. 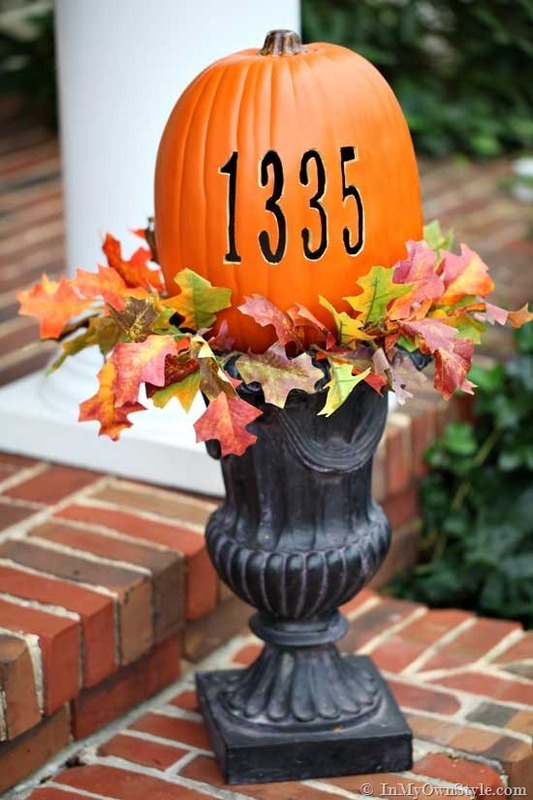 Show the neighborhood how serious you are about Halloween decoration with this fairly large pumpkin, customized with your home address. It might look too complicated, but trust me – this polka-dot pattern is quite easy. First, outline your pattern with a marker, leaving enough space between dots so holes won’t overlay. Then use the power drill to make various bits. 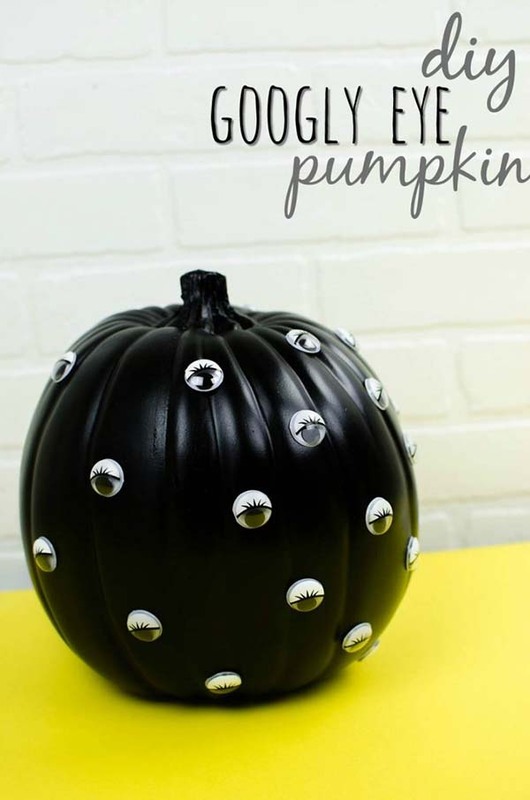 The glass gems (marbles may also work just fine) are turning this DIY project into one of the most unique pumpkin carving ideas. 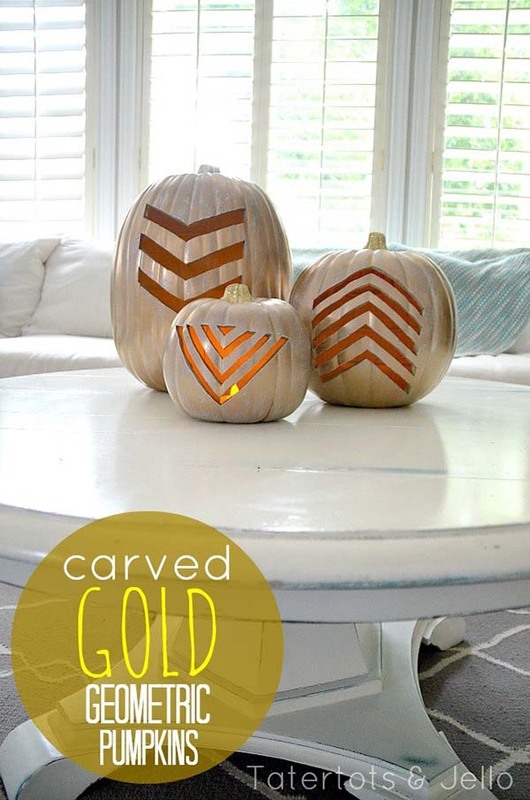 Let me guess – you love the DIY carving projects but still, want to find some useful carving pumpkin ideas? 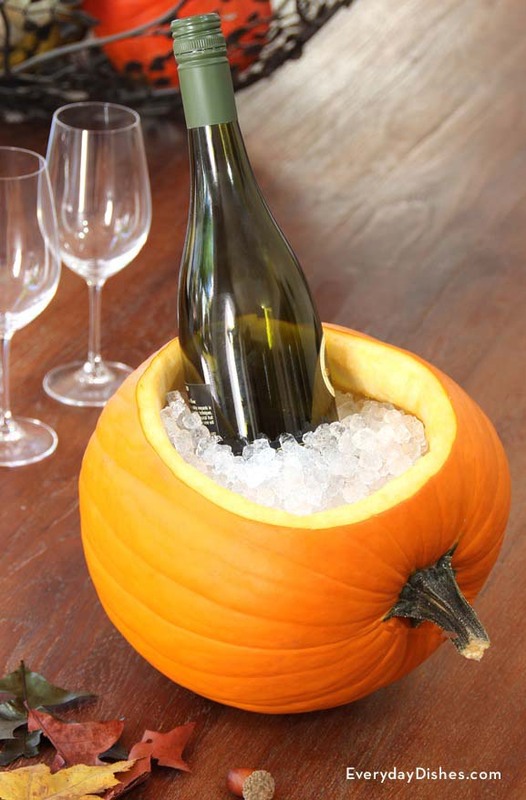 Meet the pumpkin ice bucket then! It is an easy, practical, and great addition to your festive dinner table! Quite an original fall centerpiece, right? Drilling Helloween pumpkins is not a hard task at all, however, your hands might get tired from holding the drill at some point of the day. Tip: Use a marker to outline the pattern that you want to do. When most of the people decide to do carving for Halloween, there are initially searching for some scary pumpkin carving ideas. With the picture above I’d like to show you that the traditional orange pumpkins have a lot more to offer. 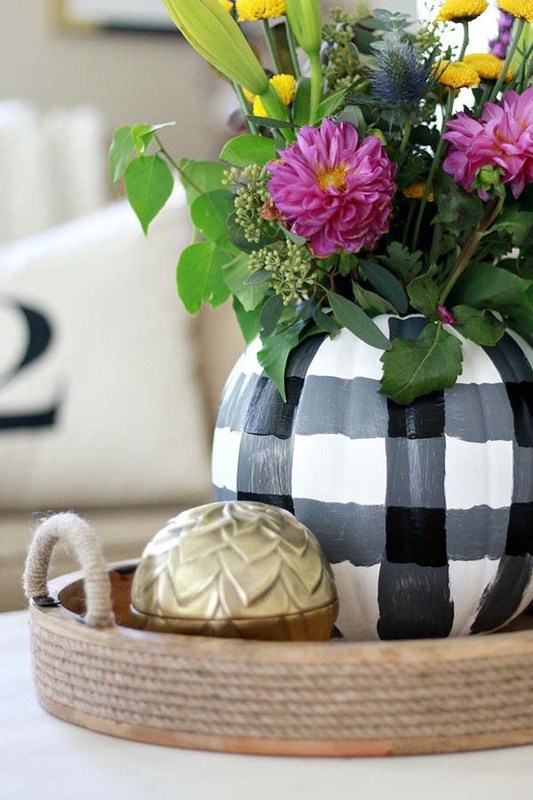 This beautiful vase, for instance, could be a great dining table centerpiece. 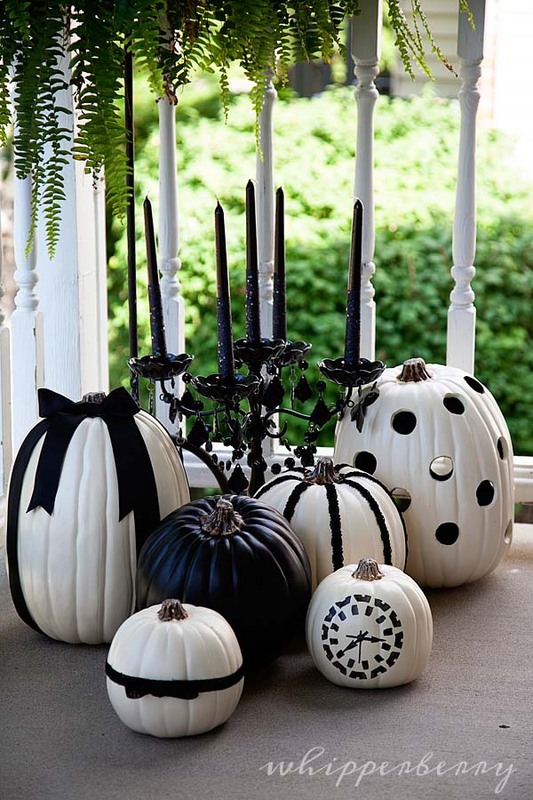 All you need is a mid-sized pumpkin, white and black craft paint, a paint brush, and a sharp knife. Wake up, wake up! It is almost Halloween! This handmade clock might not be able to tell you the exact time, but it will surely impress your guests. In case your interior design is more contemporary and lavish, you will definitely need some more luxurious-looking carved pumpkin ideas! 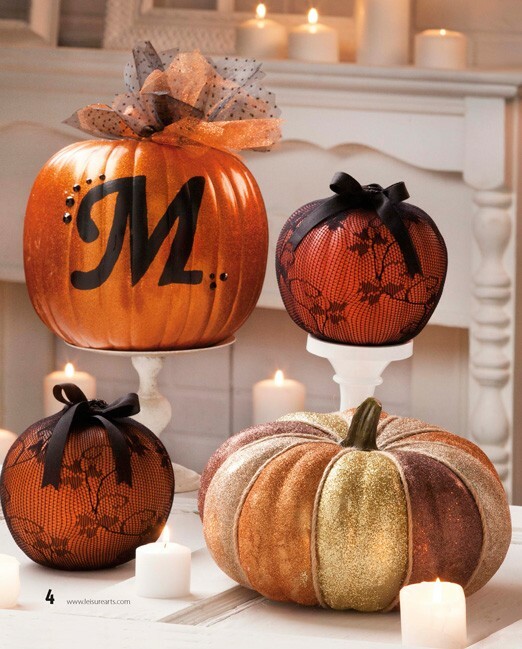 These gold-toned large pumpkins might be the right fit! 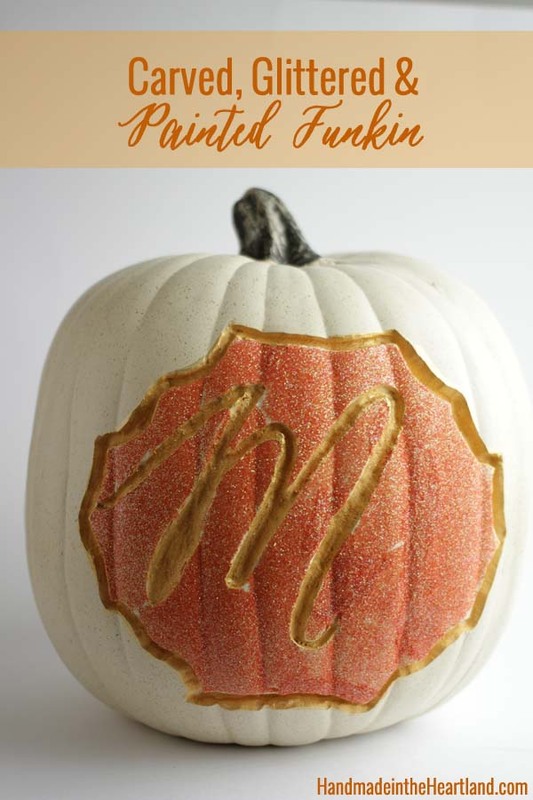 I’ll share with you the infallible way to carve out eerie features: tape some transfer paper to a fairly large pumpkin and draw on your design. Then discard the paper and follow the sketch. Relax, no evil witches here. 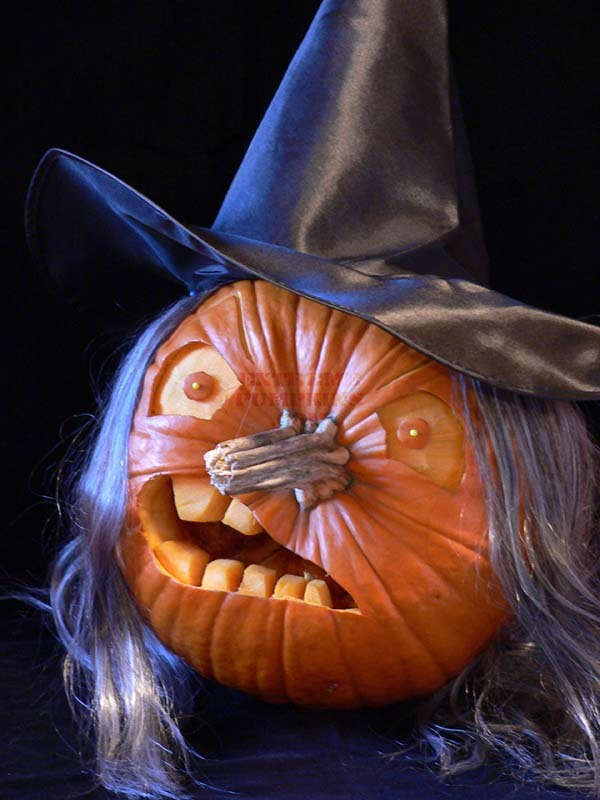 Yes, she has got a set of fangs and a crooked nose, but what’s not to love about this lovable witch pumpkin? Tip: If you’ve got a toddler at home, plan how scary your Halloween pumpkin carving ideas would be as the little kids are often frightened by bloodthirsty monster faces and witches. 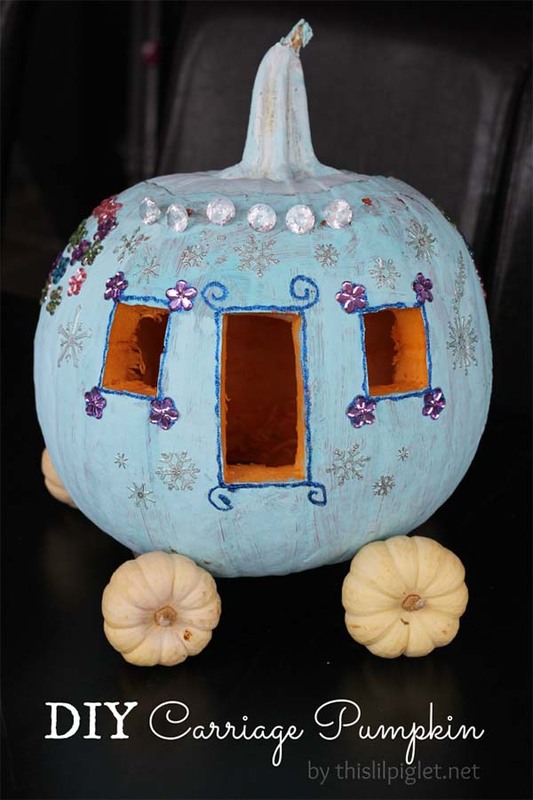 Here is a great example of how you can easily transform some faux pumpkins into fun Halloween decorations with a little bling-bling and a lot of imagination! 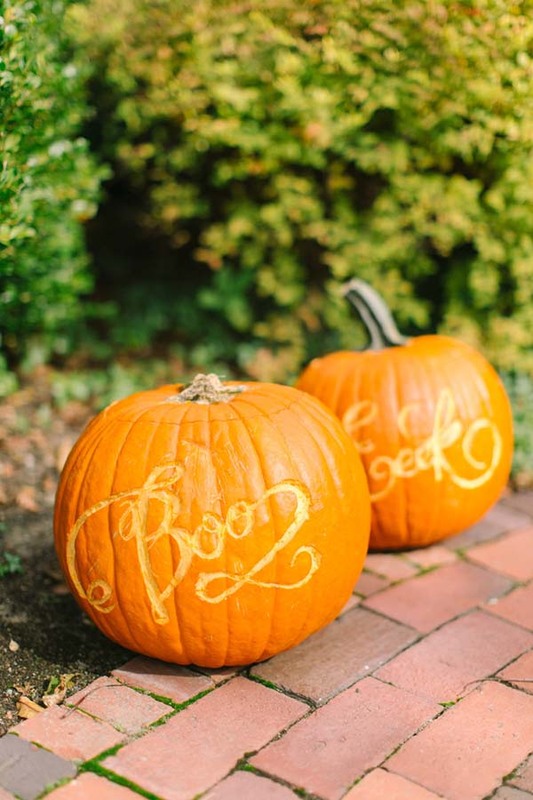 Are you a fan of the carving pumpkins ideas with calligraphy? Then, I’ve got a practical trick to share with you – use some lemon zester and linoleum cutter to carve into, but not through, the upper layer of the pumpkin. Is anyone else getting major The Wizard of Oz flashbacks?! 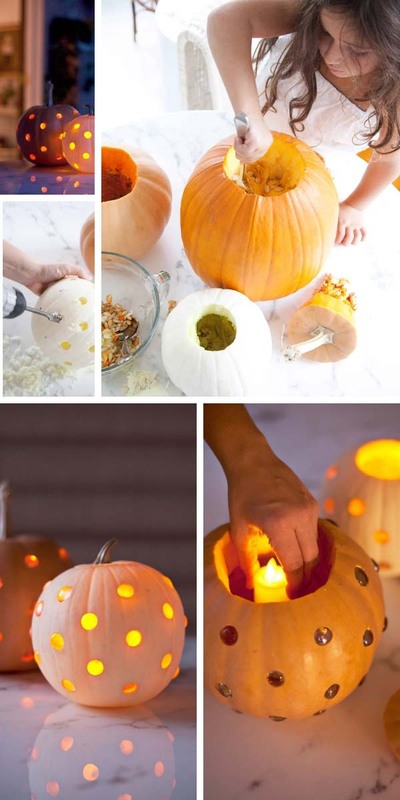 I’m so in love with this creative pumpkin carving idea! 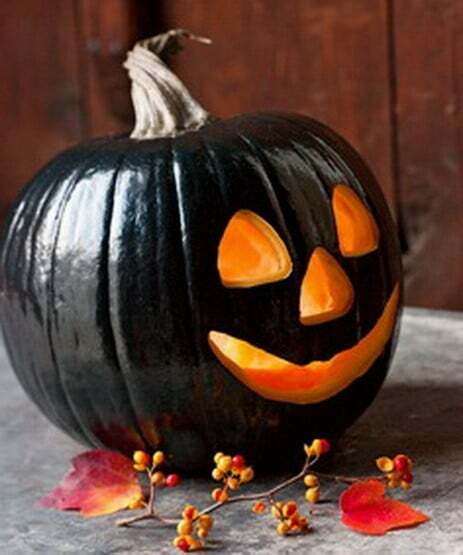 Bring a pumpkin back from the dead by carving a lopsided smile and eerie eyes. 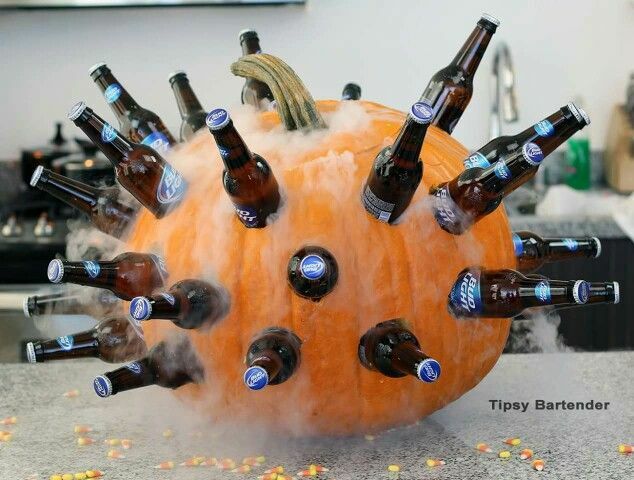 That’s a spooky pumpkin carving idea, eh? You should surely add this to your list of creative pumpkin carving ideas…especially if you will host a special festive Halloween party, this DIY bottle holder will be from great help! 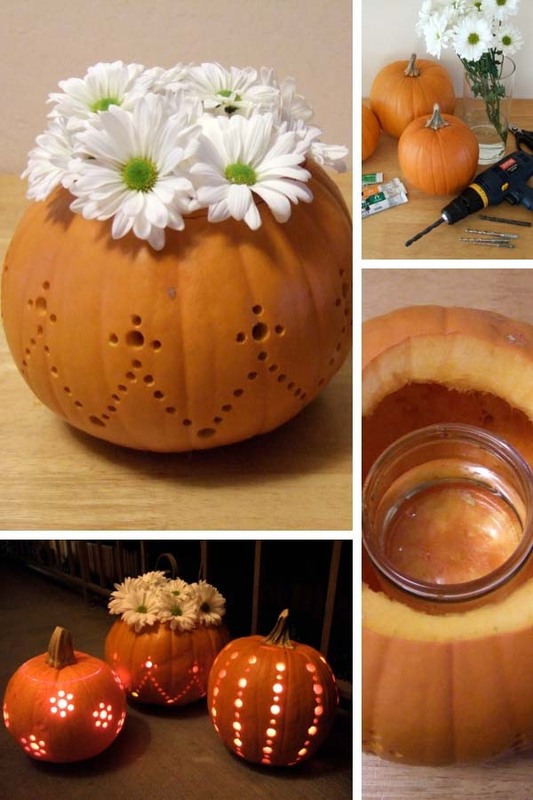 Making holes by using the power drill is fairly easy pumpkin carving idea. Tip: This detailed design would shine brighter by placing LED string lights inside. 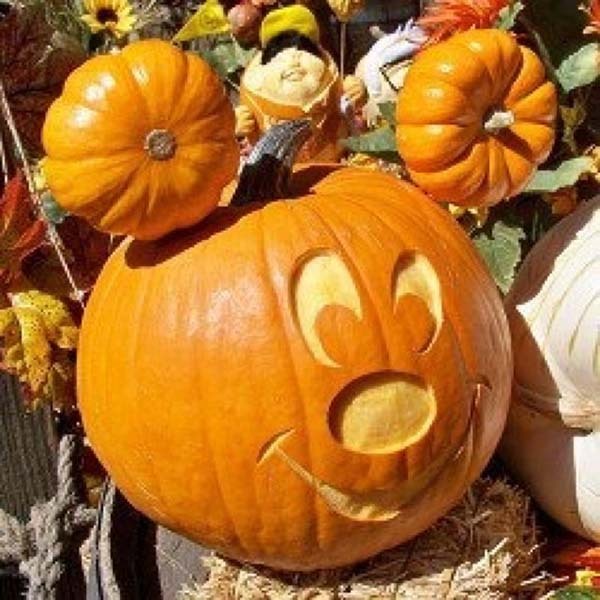 I found this Mickey decor while I was searching for some pumpkin carving ideas for toddlers. It is far from the idea of being ‘scary’, however, my little princess really loved it! 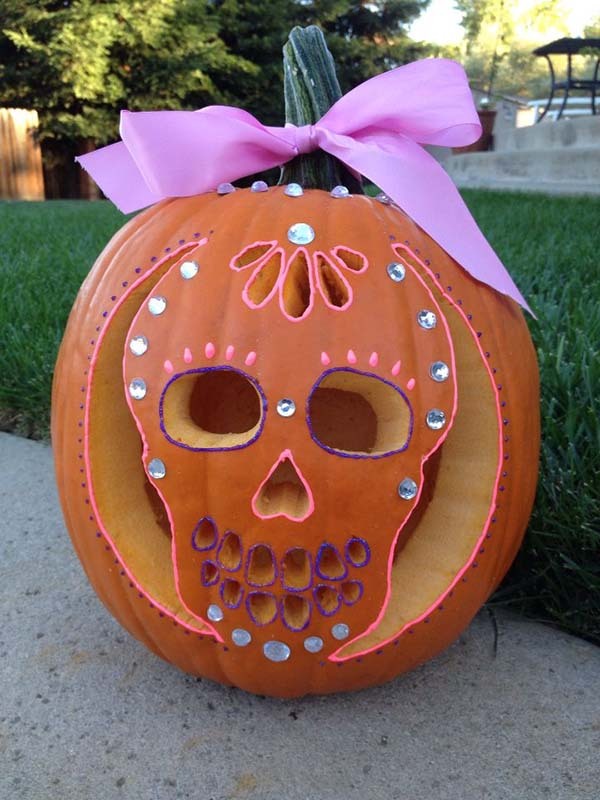 This pumpkin sugar skull blends together my passion for Halloween and the very Mexican holiday Day of the Dead (Mexicans call it “Dia De Los Muertos”). It’s celebrated on the 1st and 2nd of November honoring all family members who have already died in a fun, colorful way! 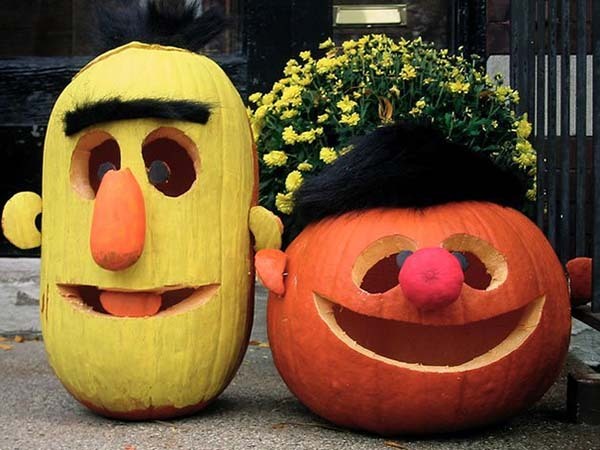 These Bert and Ernie jack-o’-lanterns are a sweet throwback to the times when we were kids and watched Sesame Street. 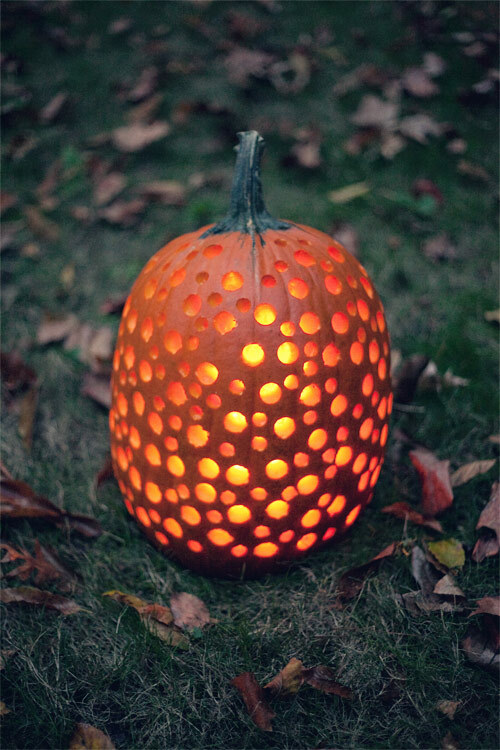 Incredible pumpkin carving idea for the porch! 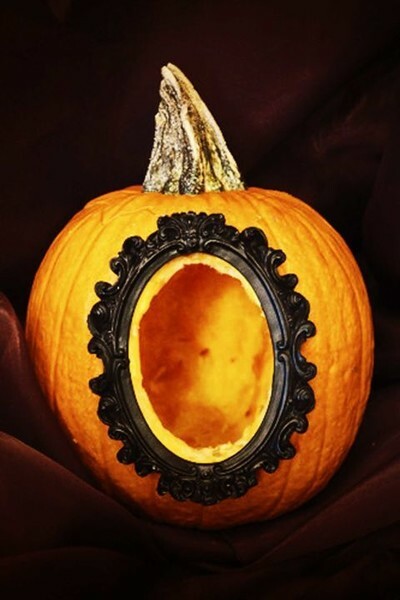 To me, this is one of the best pumpkin carving ideas as it combines several techniques such as painting, glittering, carving, and calligraphy. A real challenge for every DIYer who loves fall crafts! The main reason why I am showing you this classic black & white Halloween decoration is the fact it can be also displayed for Thanksgiving. Moreover, it can be presented on the porch, in the dining room, or on the patio. 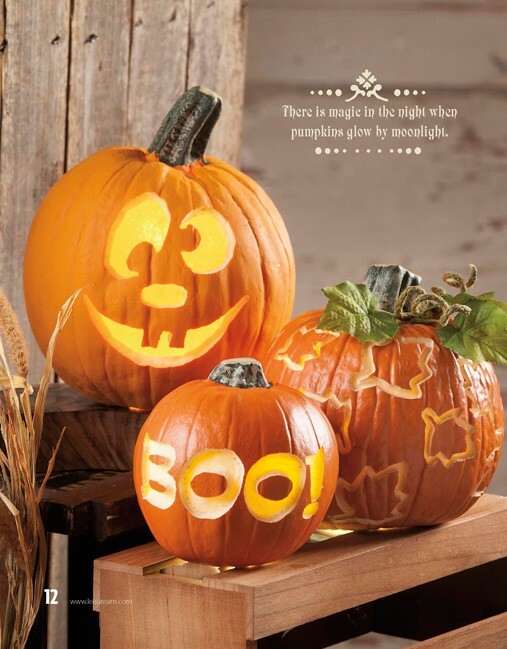 After the selection of, at least, few ideas for pumpkin carving, set yourself up for success by ordering a carving tool which includes the must-have tools to make this classic jack-o’-lanterns. Great pumpkin carving idea for the Halloween dinner! Cute mini pumpkins, watch out! 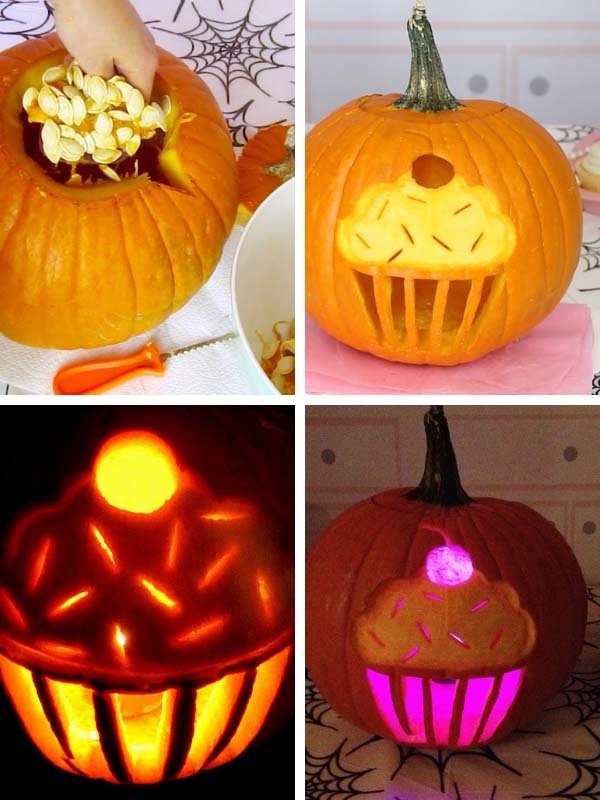 This clever pumpkin carving idea will knock down any gourd in its way. 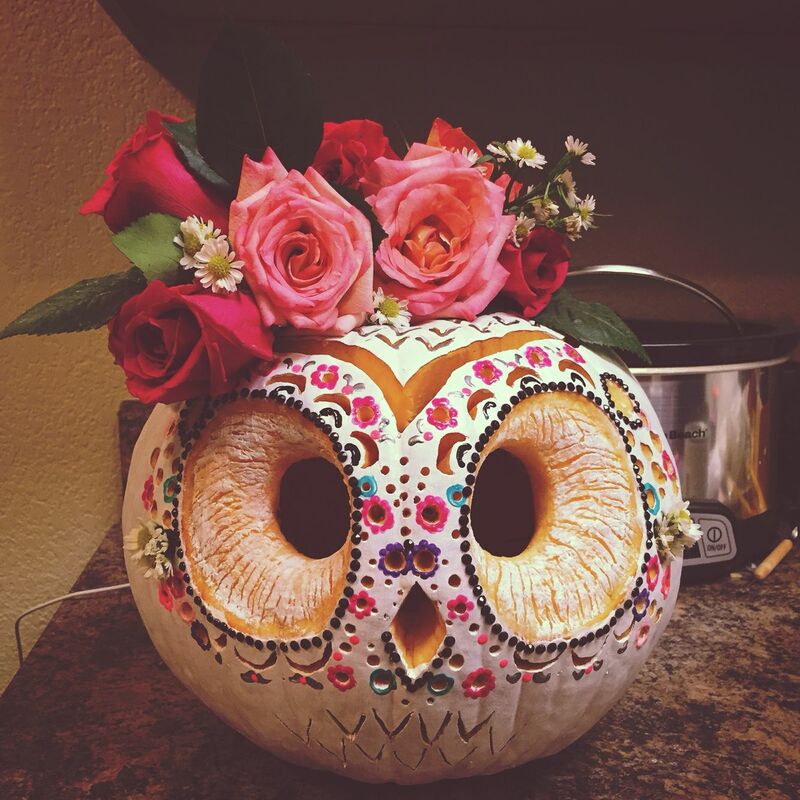 A good friend of mine (she’s over-creative) gave me the idea to transform simple pumpkin carving ideas into unique ones. For instance, you can easily spice up the design of the traditional jack-o’-lanterns by painting them in black. Easy and cool! As I simply love all kind of owl pumpkin carving ideas, this one had to come into my collection of 32 Halloween pumpkin carving ideas. In the Western world’s history, black cats have commonly been looked upon as a symbol of evil villainous omens, particularly being suspected of being the familiars of witches, or actually shape-shifting the witches themselves. 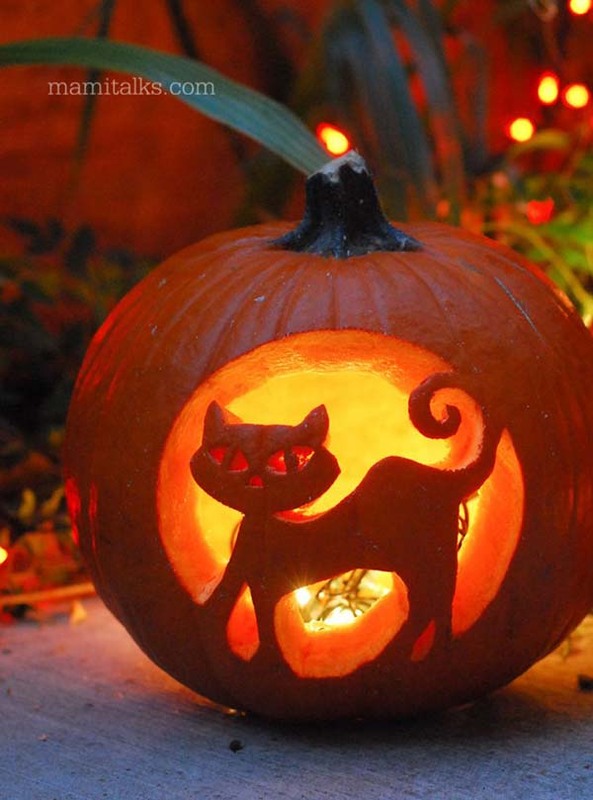 The (black) cat should be part of your eerie Halloween decoration this year! 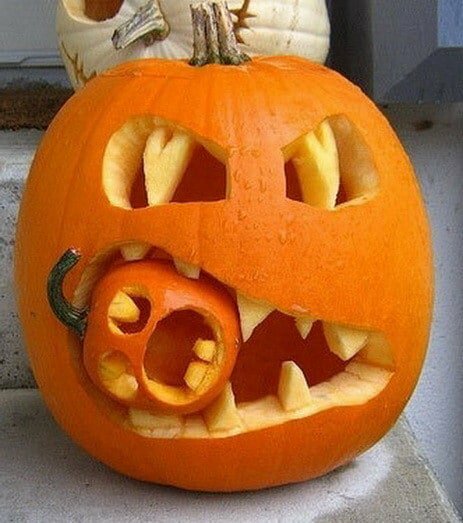 The Cannibal pumpkin carving idea is both spooky and cute. 1. Start with carving an opening out of the top or bottom of the large pumpkin, making sure it’s wide enough to fit the smaller pumpkin or gourd through it. Penetrate all of the seeds. 2. 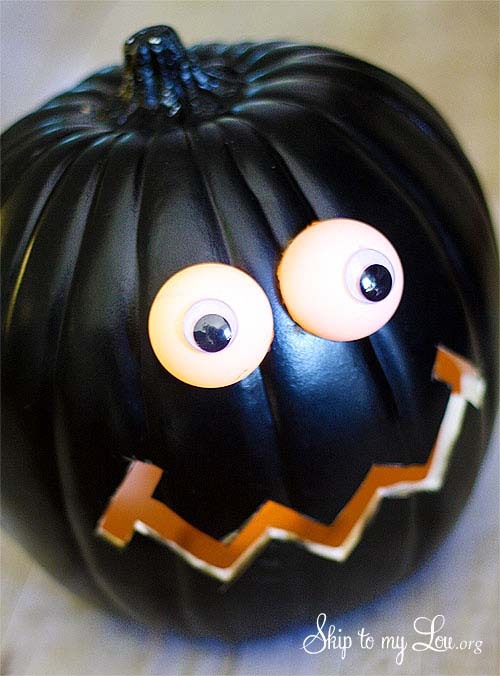 Use a simple black marker to draw eyes and mouth on both pumpkins. Use a hot and sharp knife for the carving. 3. Clear if there is any remaining marker with a damp cloth. 4. 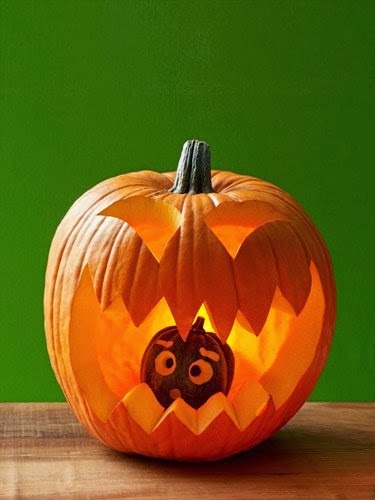 Situate the small frightened pumpkin inside the large one and replace the top (or bottom) cutout. Competing in a pumpkin carving contest with your family this year? Creating a DIY carriage pumpkin like the one above is one of the most epic carving pumpkin ideas. To easiest way to make the eyes of this foolish jack-o’-lantern is by using some ping pong balls. The rest of the materials you need are battery operated tea lights and a pair of googly eyes (both from ‘One dollar shop’). Tip: A very heated knife makes the carving process a piece of cake! It is believed that, on Halloween, the spirits of the antecedents are able to walk among the living. Spooky, eh? That’s why the ghost is one of the key symbols of this day. 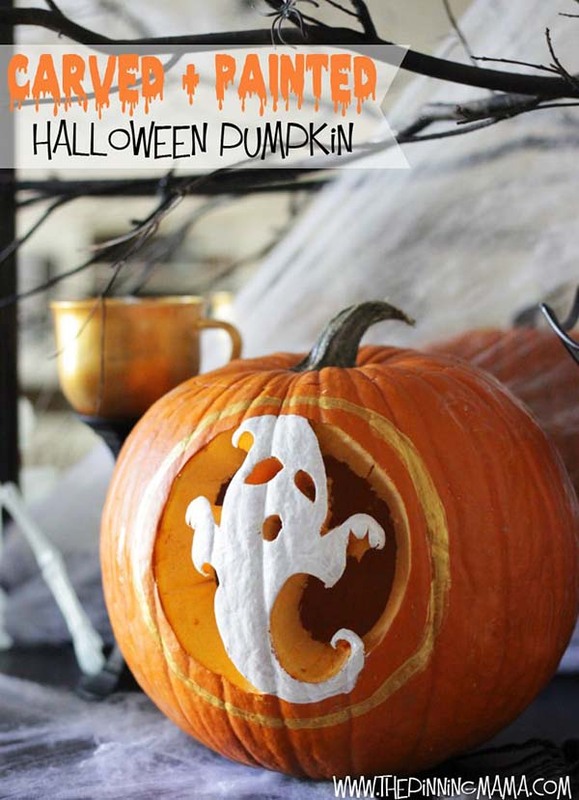 The DIY ghost project is always a great pumpkin carving idea! 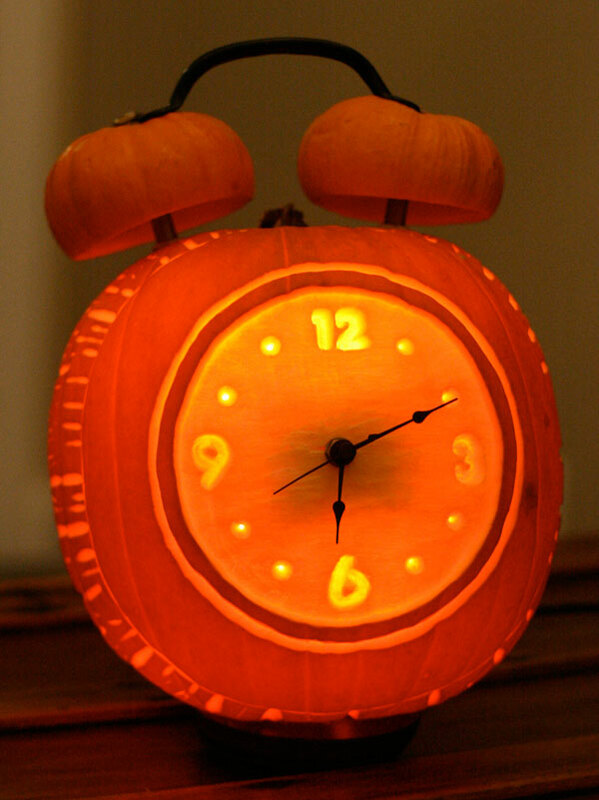 In the end – here is a no-carve pumpkin idea for people (like me) who are suffering from constant lack of free time. The author got inspired by a decorative cushion she saw in Urban Outfitters. 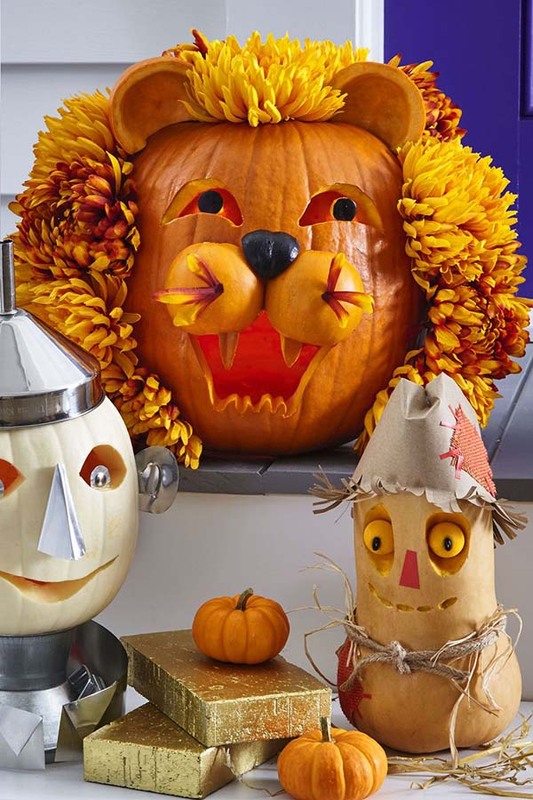 Greet friends and family with your most creative pumpkin carving ideas this year!